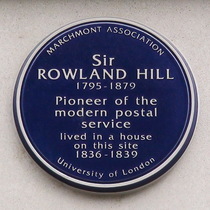 Sir Rowland Hill, 1795 - 1879, pioneer of the modern postal service, lived in a house on this site, 1836 - 1839. 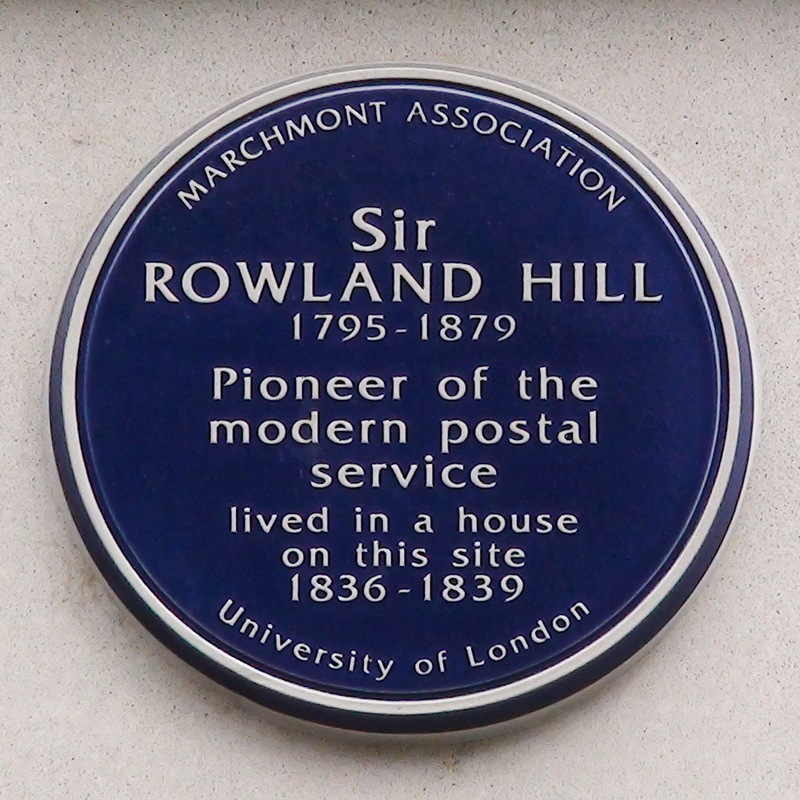 2016-17: The entire block of buildings was demolished and replaced with massive blocks of student accomodation in what locals have described as a Fascist architectural style.The original plaque (Camden) was replaced (Marchmont Association). When this happens our practice is to capture the new one but also to keep the old one, marked as "lost".